Daylite is a CRM and project management software designed for macOS, iPhone, and iPad. Its features include a calendar, email accounts, contact management, project tracking, and lead monitoring. In this article, we covered user reviews and pricing. Ready to try Daylite? Get a free trial. Users who gave Daylite a positive review said that all of its features work perfectly together, which provides them with a holistic CRM experience. They also commended its sleek, clean, and easy-to-use interface. 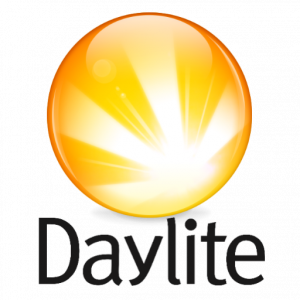 Users who gave Daylite a negative review complained about the program’s cloud accessibility and synchronization. They also suggested expanding its third-party integrations with more iOS apps. Daylite has three subscription options: Monthly ($29/user/month), Yearly ($24/user/month), and Loyalty ($22/user/month). The Loyalty Plan can only be purchased by users who were previously using the software in their private server (Daylite Self-Serve) and migrated to the cloud-hosted version. There are no differences between the features of all three plans. *The Yearly and Loyalty plans are paid in full at the start of the billing cycle. Additional taxes may apply. Ready to try out Daylite? Get a free trial. Lead and Pipeline Management: enables users to keep track of the various stages of their interaction and level of transaction with their current and potential customers. Third-Party Integrations: lets users seamlessly integrate other apps they use such as file management, social media, analytics, among others. Is Daylite compatible with the latest Mac OS (macOS Mojave/macOS 10.14)? Yes. Daylite’s version 6.6.0 is specially made for macOS Mojave users. Users can either upgrade their current version of the app or reinstall it for updates. Does Daylite offer special discounts? Yes. Daylite offers special discounts to educational institutions and non-profit organizations. Interested users can contact their sales team for more information. Not sure if Daylite is the right fit for you? Read our reviews of all top CRM software or check out one of these three Daylite competitors. The company behind Daylite (Marketcircle) is very responsive to client suggestions and their support is outstanding. Daylite is a CRM that is full-featured including Calendar, Contact, Project & Task management, Notes, & email integration. You can manage your whole sales stream from proposals to project completion all in one spot. Marketcircle is a Canadian company so sometimes there are some oddities on how they conduct their business, but nothing to keep me from doing business with them. They are moving from a self-hosted to an online platform and there have been a few glitches with the online platform but most of those seem to have been ironed out now. Wish I had known exactly what their support hours are. I do a lot of work late evenings and sometimes have to wait until the next morning for a reply, but over I’m pretty pleased with their support. The software integrates well with Apple Mail and makes it easy to archive emails into a centralized database for searching. The calendar and projects functions have been very useful in our organization. MarketPlace focuses a large amount of it’s resources on improving and troubleshooting their cloud product and the self-serve product often does not get updated or patched for sometime after. Recently we have found two issues with syncing events between Apple’s Calendar app and the Calendar within Daylite. Both issues have been reported and both responses included that cloud based Daylite took precedence. We use Daylite as a CRM, group calendar, and sales project environment. 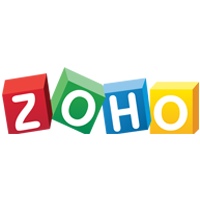 Collaboration and communication have definitely improved with the implementation of this software. The ability to customize reporting and functionality makes the application a strong contender for leading position for any mac user; specially if your organization does not prefers to use the cloud services. The contact sync feature for the self serve works flawlessly with smartphones. The cloud service is not quite well adopted. They still cater only to Mac environment and the inability to truly go cloud is affecting users that would like to evolve with the changing times. You need an app on every users machine to work on the data.. The cloud feature is only for syncing data and storing data on the cloud server, but not to run the app on the cloud. The interconnection among different items (contacts, emails, events, tasks, projects) is excellent and has been paradigm shifting for my work. They make adjustments to the software frequently, and seem to listen to their user community. All of the functions of the software work quite well.